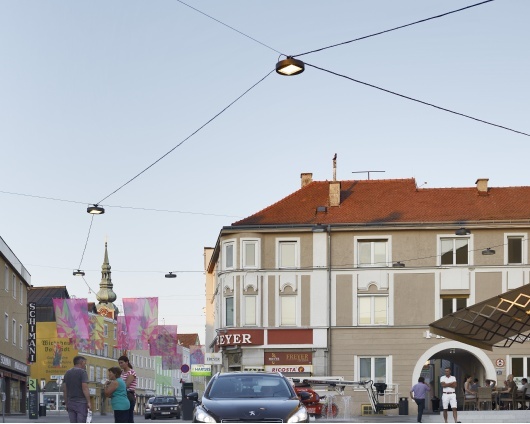 In the late summer of 2015, “Austria’s largest meeting place” was dedicated. 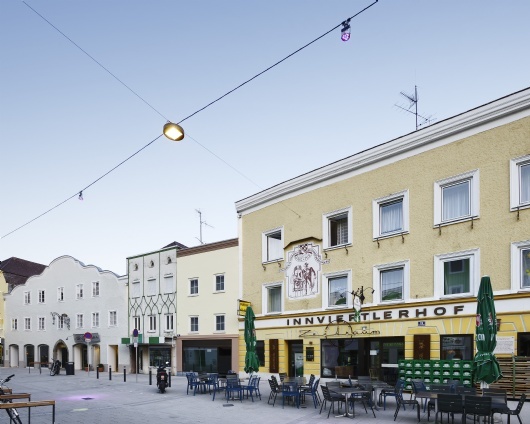 The newly arranged historical town center of Ried im Innkreis is the result of an ambitious, integrated concept for urban renewal. A new routing of streets and many other architectural measures will increase the quality of a stay downtown: different street surfaces and pavings, plankings with wood, the creation of niches with benches, more room for pedestrians and cafés. 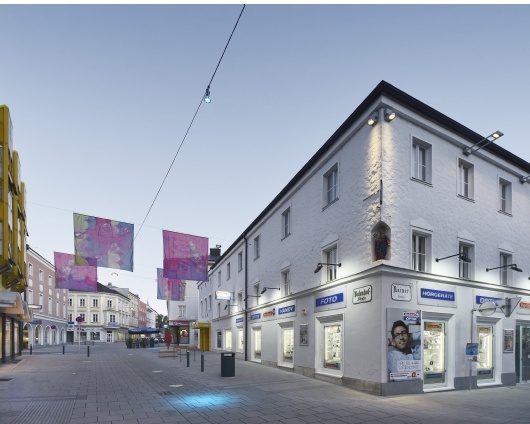 With around 250 light sources, the lighting solution from ewo contributes to a natural, pleasant atmosphere and fits with the setting of the historical center. 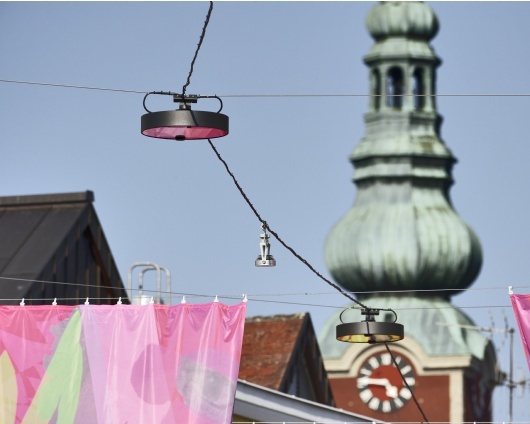 Out of many possible configurations, lighting designer Christian Ragg selected a combination of architectural lighting from the P series and the CO Outdoor System with several customized adaptations. 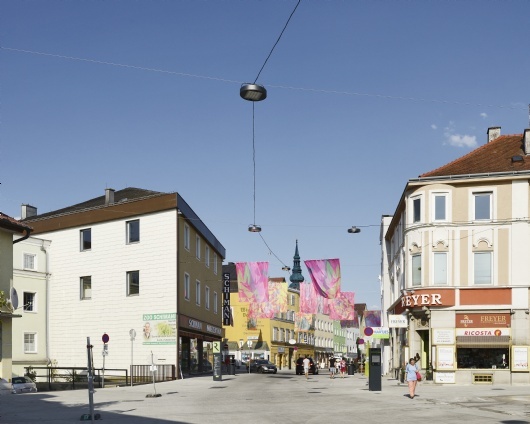 The concept provided for, among other things, the integration of the existing cable tensioners above the streets. 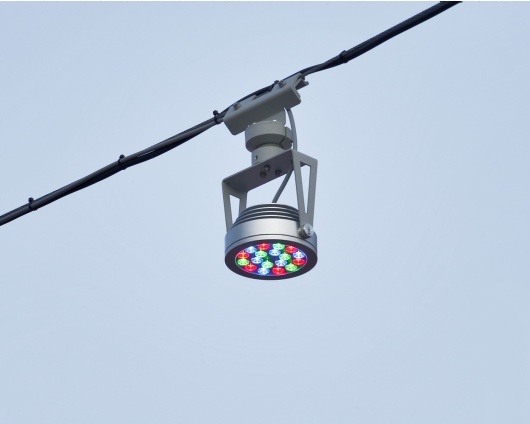 To do so, we equipped the street lights with a special connection. Within the luminaires, the modular LED lighting unit made it possible to adjust every single light source with respect to luminous intensity and radiating characteristics. In that way, we have been able to react to the at times substantial variations in the street landscape and light the six streets evenly. 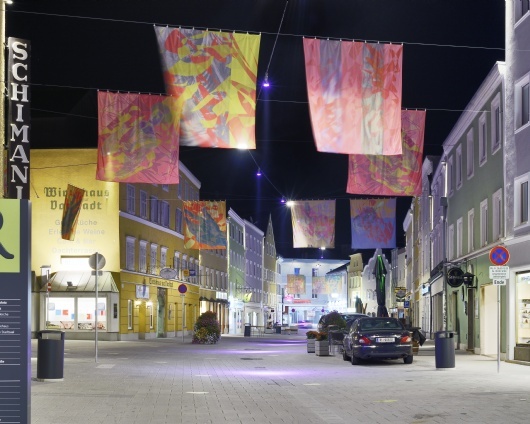 In addition, the buildings in the historical town center could be artistically illuminated. Some 111 narrow strips of light take care of that, each of which is directed vertically downward between the individual façades. For this project, we produced a variant which made it possible to rotate the light source and to variably set the distance from the wall by means of a sliding mechanism. The architectural lighting is supplemented by wall floodlights in a specially developed housing shape. They evenly and flatly come together in soft light at a cross-point of two opposite façades. RGB spotlights supplement the downtown lighting as needed. Their hue can be remotely controlled from a central location. They make the orientation easier along the path between the city hall and the new shopping center. In its totality, this solution supports a new, people-oriented arrangement of the city. 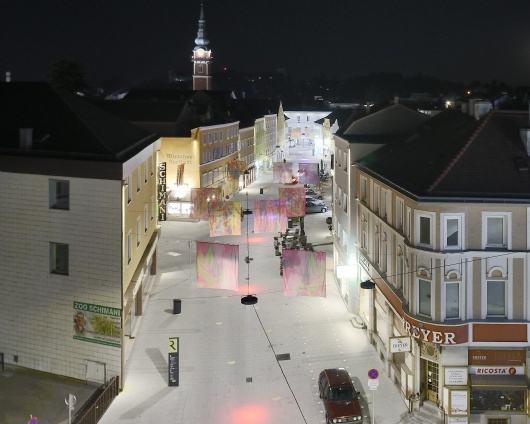 An extension from the town center out to the periphery of Ried is planned.